Even after you decide to go for a criminal justice career, the choices don't stop there. You'll still need to determine what field of criminology you'd like to work in. With so much room for specialization, you need to know how to make the right choice if you want to go for a law enforcement job. One size does not fit all when it comes to working as a police officer, but fortunately, there are enough special areas within the industry that you can find a career that works for you in just about any specialization. When determining what type of law enforcement career to pursue, you're going to have a lot of decisions to make. Here is some information to help get you going in the right direction. Perhaps one of the first things you'll want to determine is what level of government you want to work for. At each level -- local, state and federal -- there are plenty of opportunities in both uniformed and criminal investigative agencies, each with its own pros and cons. At the local level, typically all law enforcement careers will begin with a patrol. Basically, everyone at the local level must start out as a police officer before they are able to move into areas such as criminal investigations, SWAT, explosive ordnance disposal or other specialty units. After you've done some time in patrol, you will be able to move up and into more specialized fields. One of the biggest benefits of working for a local agency is that you won't have to worry about moving to start your career, transfer into a new field or move through the ranks. State agencies also have uniformed patrol units who are usually called state troopers. Troopers are typically responsible for traffic enforcement throughout the state but can have many other duties, depending on the state or agency. In some cases, state agencies may hire investigators who have not had any prior law enforcement experience, which means you may be able to bypass the requirement to start out as a patrol officer. Working for a state agency can have a number of benefits over a local department, especially if you want to promote and move up through the ranks. Due to the typically larger sizes of state agencies versus locals, there are many more opportunities for advancement at the state level than there are at the local level. You will, however, need to consider the possibility that you'll have to move around the state for transfers of promotions, something you would not have to do at the local level. Like the state level, the federal government has opportunities for individuals to move right into an investigative role without the need to have been a patrol or uniformed officer. However, the various federal investigative agencies typically require college educations and, in many cases, relevant work experience is also necessary. Also like a state law enforcement career, in the federal government, you will very likely be required to relocate. Field offices are operated throughout the country and the U.S. territories. You can also expect to have to move around the country in order to advance and promote. In addition to location and jurisdiction, you'll want to determine what exactly you would like to do in law enforcement. No matter what your interests, you are sure to find an area in which you can succeed and achieve. Different agencies have different missions. Some are tasked with traffic enforcement, while others focus on the environment and conservation. The fact is, a law enforcement career truly can offer something for everyone. 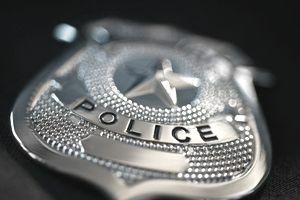 While you probably won't get rich working in law enforcement, there are still plenty of financial incentives to go along with the chance to make a difference in the lives of everyday people.